The PowerView® app is available to use across multiple platforms. 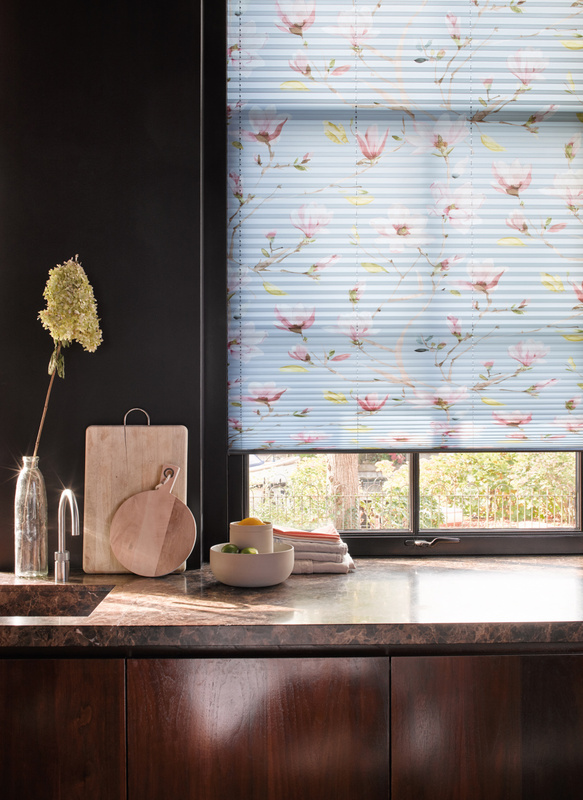 PowerView® is compatible with lots of different blind styles including the Pirouette blind (pictured). PowerView® lets you create schedules for your blinds that suit your home’s needs . The new PowerView® Hub improves performance delivering a faster and more efficient service. The PowerView® pebble in combination with the mobile app offers precise operation over your blinds. Spot our PowerView® advert in Bath Life Mag! The PowerView® Mobile app gives you total control over the blinds in your home. Use the app to enjoy the benefits of Home Automation with your blinds today! 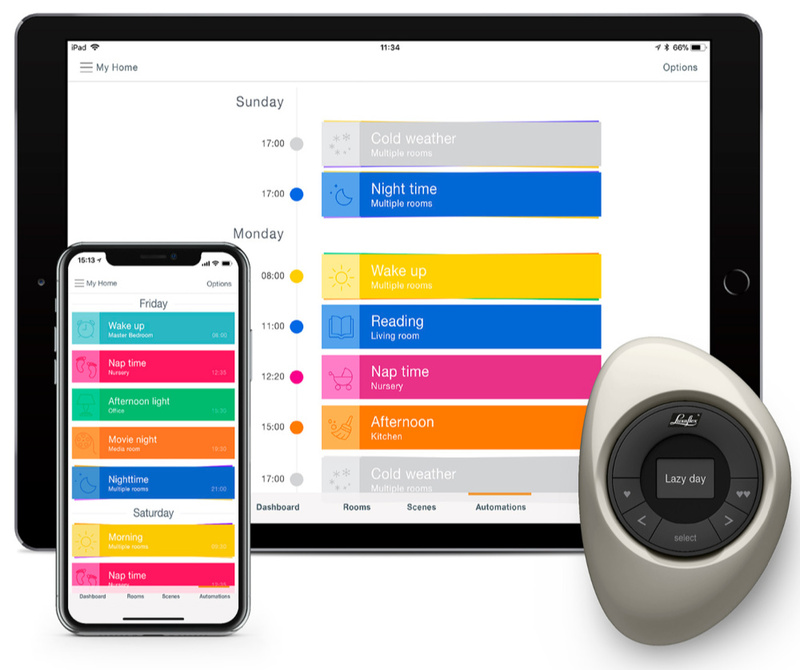 The Luxaflex PowerView® Mobile App has innovative features including room/scene settings to let you create a personalised schedule for your blinds that reflects your lifestyle needs. Find out how you can get the PowerView® mobile app and Home Automation for your blinds below! 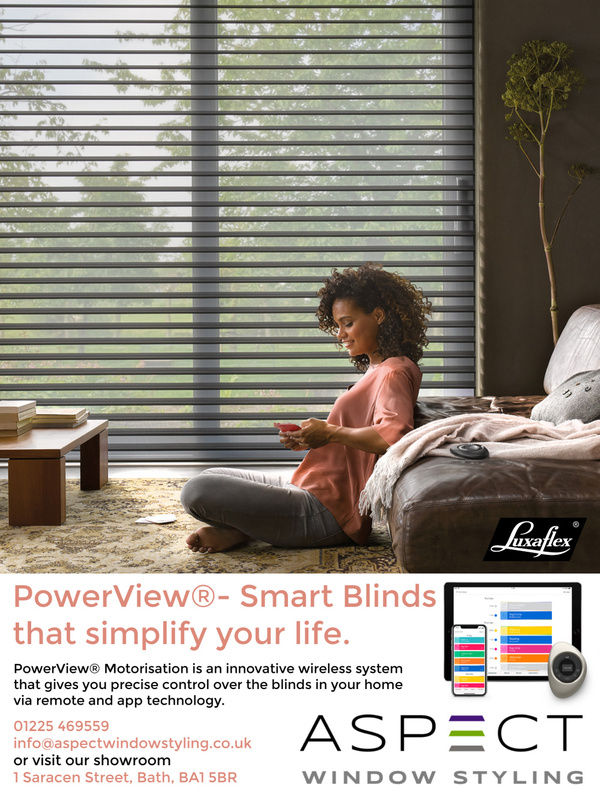 The PowerView® mobile app is available with all Luxaflex PowerView® Motorised blinds. After a PowerView® blind and PowerView® hub are installed, the app can be downloaded absolutely free via the app store and is available on both iPhones and Androids. The app can also be used with iPads and other tablet devices for maximum convenience. What does the PowerView® Mobile App do? The app lets you raise, lower, open or close your blinds at anytime. You can select one or all of the PowerView® blinds in your home on the app and swipe to your preferred blind position. The app shows an image of the selected blind or blinds on your screen so you can accurately see the current position of the blind and adjust as much or as little as you would like to. 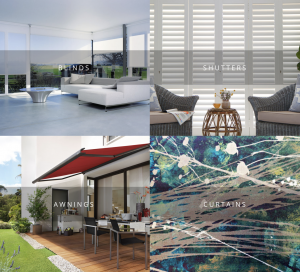 You can use the app to sort your PowerView® blinds into different living spaces e.g. ‘living room’, ‘ kitchen’ ect. You can then set the blind type for each space which gives you a unique control screen depending on that blind make. This all helps when keeping track of your blinds! Once this is all set up, the PowerView® mobile app lets you create and set personalised schedules for your blinds in the various rooms. For example if you set your bedroom blinds to open in the morning you can be woken up naturally by the early morning light. You can set universal or individual schedules to suit you, and all schedules can be altered at anytime via the app if your plans change. 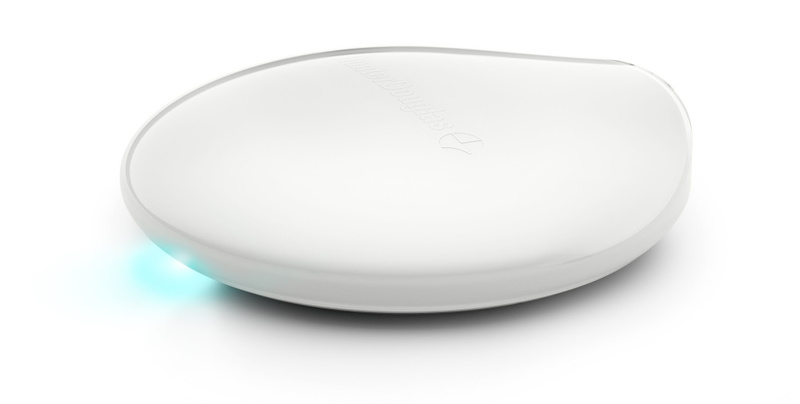 The app connects to your Wi-Fi via the PowerView® hub but you can also use it remotely too. As long as the app can connect to the internet and your hub connection is uninterrupted you can operate your blinds anywhere. This is really convenient especially if you are delayed getting home or on holiday as it offers comfort and security when you need it most. The PowerView® Mobile app is fully compatible with Alexa, Google Home, Nest and other home automation systems. This integrates PowerView® with voice recognition software letting you talk to your blinds directly! Other improvements to the system include the new PowerView® gen 2 hub, introduced last year, which runs at a much faster processing speed improving your app user experience. It also has a sleek and elegant design that is much more contemporary and less obtrusive than the previous hub. 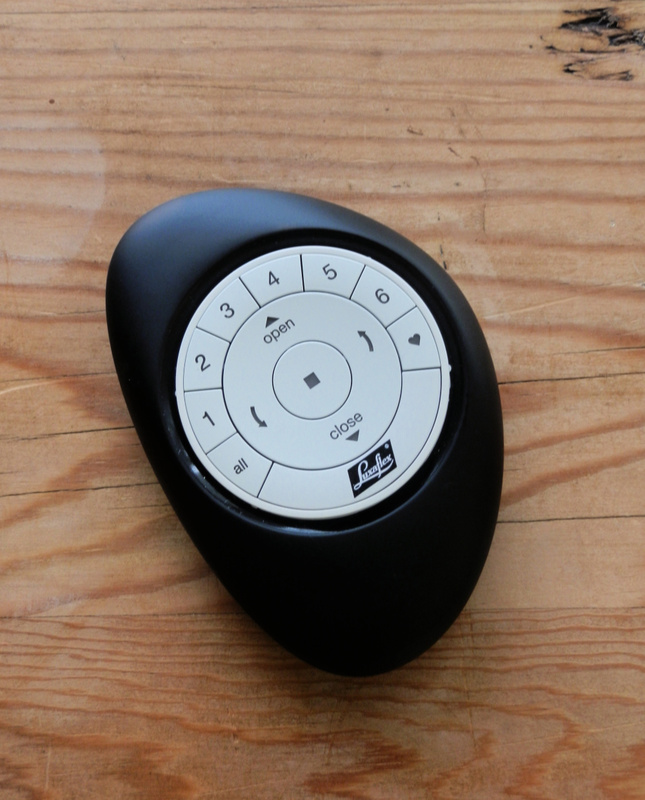 In case you were wondering what other control features are available with PowerView® Motorisation, it also comes with a Pebble® remote. 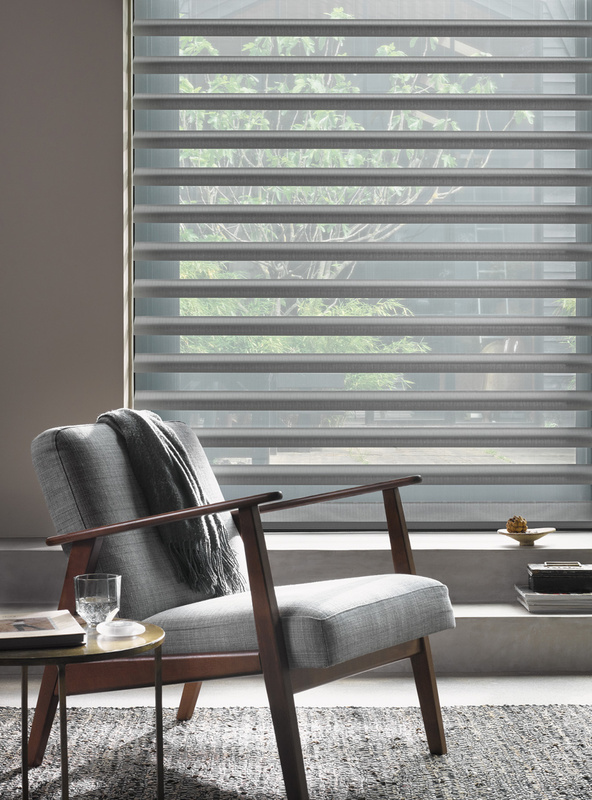 The Pebble® has a stylish and intuitive design that fits any aesthetic and allows you to set your blinds by simply pressing a button. There are lots of pebble colours to choose from including snow, night, lime and cobalt, so you can pick a pebble that suits you! Want PowerView® Motorisation for your home? If you are interested in having PowerView® or would like to know more about the specific features such as the PowerView® mobile app for your home please contact us. Or if you are in Bath, you can visit us at our showroom and try our PowerView® displays including the Pebble® remote and mobile apps!